Corsages are a lovely finishing touch for any outfit or occasion from weddings to school dances to ceilidhs and anniversaries as well as anything in between which is where the florists in Aberdeen step in. We have a beautiful range of corsages on offer which are styled to cater for any occasion. You are able to browse online through our website to get a general feel for the sort of work we are able to produce. If there’s nothing online which is fully to your liking, don’t worry as we offer the bespoke service to all customers. The bespoke service enables you to either tweak elements of a pre-existing corsage arrangement or you can start completely afresh. The bespoke service enables you to create completely unique and stunning corsage. 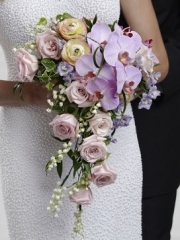 Through the bespoke service you are able to specify what flower you would like, colour preferences, what sort of flowers should be avoided as well as any other details you feel are pertinent to your corsage. Once we have all the necessary details, the florists in Aberdeen will create something breath-taking for you. The florists are able to create corsages either to match or contrast your outfit depending on what you’re after. 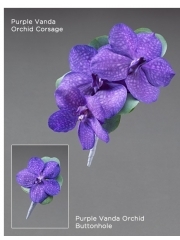 In addition to corsages, Aberdeen flowers are also able to create other flowers to wear such as buttonholes. No matter what it is you’re looking for, we will always try our absolute best to accommodate to all the needs of our customers. If you have any further queries regarding any of our services, please do not hesitate to get in touch. You are able to contact us either by phone or email as we are always more than happy to help you in any way we possibly can. Once your order has been placed with Aberdeen flowers, all customers have the choice to use one of our several flower delivery services. 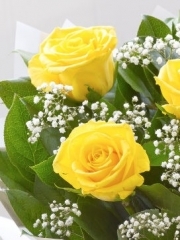 There are three main delivery services in operation which are our standard, same day and next flower delivery schemes. All three are available six days a week, from Monday to Saturday, between the hours of 9:00AM and 5:30PM. The standard flower delivery service is ideal for those who like to plan ahead as this service enables you to place an order days or even weeks in advance of the delivery date. This way, once your order has been placed you don’t need to worry about anything as we’ll take care of the rest for you. The next day and same day flower delivery services are handy for occasions which crop up suddenly or for those who are perhaps slightly more forgetful than others when it comes to dates. The next day flower delivery allows you to place your order the day before the delivery which means that everything is taken care of for you within the space of two days. The premium same day flower delivery service enables you to place your order on the very same day the flowers are to be delivered. Please note if you wish to use the same day flower delivery service, your order must be placed before 3PM. This is to give our florists in Aberdeen enough time to arrange your flowers with the care and attention both you and your flowers deserve. Our number one priority here is to provide the best possible customer service we can so if you ever have any feedback, we are always happy to hear from you. We want to continually better our services as we enjoy nothing more other than to bring smiles to our customers’ faces.